New hospitals, nursing homes, and other medical facilities open their doors daily in direct response to surging patient care needs. They boast the best equipment and services that technology can offer, but they would be lost without the CNAs and other medical professionals to serve patients. CNAs are entry-level workers, yet the entire model of what comprises a patient care team would fall apart without their services. They work directly under a nurse’s supervision, providing an extra set of hands to attend to all patients’ needs. They maintain patient stability, attend to the activities of daily living, assist with patients’ personal hygiene, ensure patient comfort, provide adjunct care, and protect organizational values. While a few find fulfillment tending to patients’ needs in this position, many others use it as a stepping stone to other careers in health. This creates a high rate of turnover in the industry, meaning there’ll always be a demand for new staff. The Department of Licensing and Regulatory Affairs (LARA) requires nurse assistants to complete training and nurse competency testing as requirements for inclusion on the state registry. 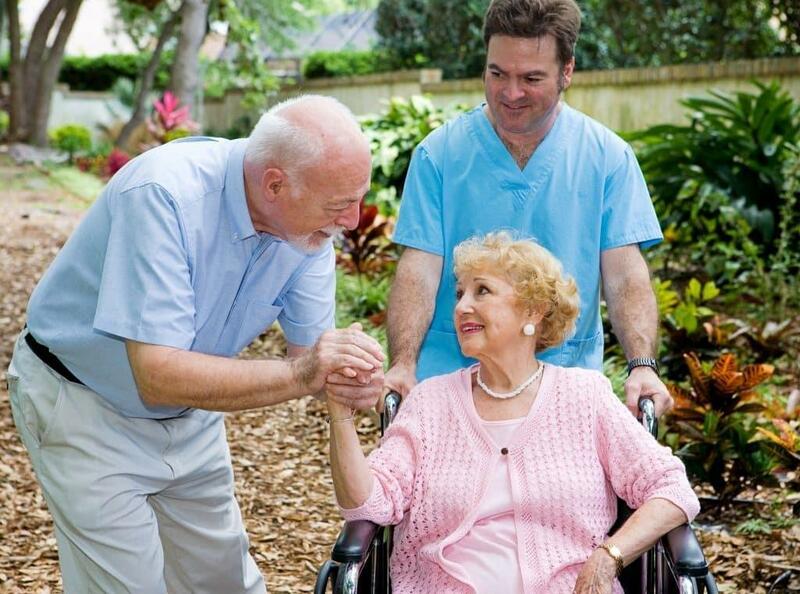 The Department’s requirements, guided by state and federal laws, ensure the quality of healthcare to seniors and disabled persons remain at its highest. Licensed by the State of Michigan, Future Healthcare Careers empower students with the tools they need to succeed as Certified Nurse Assistants. Committed instructors, with more than 10 years’ experience, small class sizes, and modern technology help guarantee students’ success on the state certification exam. FHC offers flexible training schedules for working adults; day students complete the training in 10 days while evening students can complete classroom and clinical training in three weeks. The course fee is $400 with a flexible payment option available to all students. Students complete the Certified Nurse Assistant Training program at Warren Health Academy in just two weeks. Classes meet Mondays to Fridays for classroom lectures, demonstrations, hands-on lab, and clinical training in a skilled nursing facility. The lab skill sessions teach students how to assess vital signs and report changes in the patient’s condition, and assist with the activities of daily living. 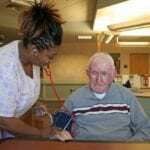 The clinical training affords them the opportunity to assist the geriatric population in a supervised setting. Tuition for the two-week training is $600; textbook and course materials included. WHA offers a flexible payment plan and accepts payment vouchers from MI Works, RIM, and other student educational assisted programs. Graduates will receive a certificate of participation and will be eligible to take the exam offered at Warren’s facility. Students must wear solid white scrubs during the training. Requirements for entry include a recent TB test and criminal background check. Macomb Community College facilitates a CNA training program through Workforce and Continuing Education. The program comprises of 128 contact hours that students complete over a period of five weeks. Classes run four days a week – available in day (5 ½ weeks), evening (8 weeks) and weekend (10 weeks) schedules. Students learn through three primary components of training: classroom lecture, classroom lab, and clinical placement in a long-term care facility. They learn basic nursing skills, principles of personal care, feeding and nutrition, patient advocacy and all essential skills required to support nursing staff. Prior to registration, students must attend a two-hour orientation, take the ACT WorkKeys assessment, and pass a drug test and standard health screening. Students must meet the background check requirements before commencing the clinical rotation. Graduates will receive a WCE certificate, which will confirm their eligibility to take the state’s nurse assistant competency exam. Aress Academy has been providing state-approved CNA training since 2004. A few of AA’s advantages include one-on-one tutoring, discounts (25%) on the state exam, and the option to retake the class for free. Day classes meet from 9:00 am to 4:00 pm for 3 weeks. Evening students meet Tuesdays and Thursdays and complete the training in 10 weeks. There is also a Saturday class option available that runs for 10 weeks. Students must attend a mandatory orientation session and pass a TB and criminal background check before enrollment. The cost of training is $500 plus $100 for the discounted state exam and $75 for CPR and BLS training. Students must attend all classroom, lab, and clinical sessions to be eligible to take the state competency exam for Michigan certification. The 75-hour CNA program at Hazy Institute runs for two weeks. Course instructors equip students with the preparatory skills to function as entry-level employees at hospitals and long-term care facilities. The curriculum emphasizes the six principles of care, including communication skills, checking vital signs, personal care and grooming, infection control, and patients’ rights. The seasoned, state-certified instructors oversee students’ education in the classroom, skills lab, and at the clinical site. Applicants must be 17 years or older and have a minimum 6th-grade reading comprehension and pass a PP skin test or chest exam. The course fee includes lab sessions, clinical rotation, books and handouts, and state exam preparation. Students must wear school approved uniform to classes. Graduates receive a Hazy Institute certificate of participation, which grants them eligibility to take the state certification exam. Job placement assistance is available for all graduates.